When Can I Buy Airbnb Stock? Subject: When Can I Buy Airbnb Stock? 4 − = 2 Required Please enter the correct value. When can I buy Airbnb stock? That's a question we've received a lot lately from Money Morning readers. Right now, there isn't an official Airbnb IPO date. But according to a March 13 CNBC report, we do know CEO Brian Chesky said Airbnb was halfway through the IPO preparation process. If Chesky's company was halfway through preparations in March 2017, Airbnb could go public in the first half of 2018. Because Airbnb was founded in 2008, some investors are wondering why the company is waiting so long to go public. In the March 13 CNBC report, the CEO said too many companies fail because they try to rush an IPO. The stock prices of highly anticipated IPOs like Blue Apron Holdings Inc. (NYSE: APRN) and Snap Inc. (NYSE: SNAP) plummeted shortly after going public. On June 29, the APRN stock price opened to the public at $10 per share. From today's opening price of $6.89, the APRN stock price has plummeted 31.1% since the Blue Apron IPO date. The performance of SNAP stock has been even worse. SNAP shares opened to the public at $24 per share on March 2. From today's opening price of $13.42, the SNAP stock price has crashed 44.08% since the company went public. 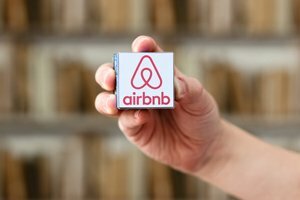 These losses could scare away potential shareholders of Airbnb stock. But by waiting to go public, Chesky could distance his company from these disastrous public offerings. We still don't have a specific date for when Airbnb will go public. But before the Airbnb IPO date, we wanted to make sure Money Morning readers were prepared. In this free and exclusive guide you'll get the most important information about the company, including how Airbnb makes money, how much it's worth, and if you should buy Airbnb stock. You can access this free and exclusive guide, right here.